Yachting Boating World: Officers with the New South Wales Police Force are searching for the owner of FireFly. 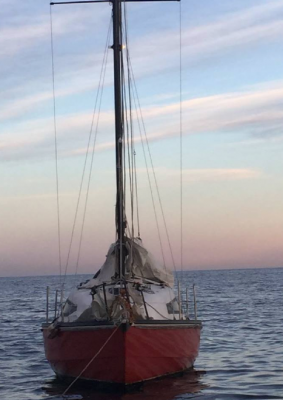 The yacht was found drifting off the state’s northern coast. New South Wales Police say FireFly was found adrift in Port Stephens on 17 May. A man came across the yacht in shallow water at Samurai Beach. When he could not find anyone on board, he towed the vessel out to deeper water and anchored it. The man then contacted Marine Rescue and Marine Area Command at around 3pm. The police believe that a 48-year-old man from Tasmania may have been residing on the FireFly. A large scale search to find him started today, 18 May. It involved officers attached to Marine Area Command and Port Stephens Water Police, with assistance from Volunteer Marine Rescue, Surf Lifesaving, Westpac Rescue Helicopter and local police. The search covered an area from Nelson Bay to Stockton Beach. It was suspended at 3pm local time and is expected to resume on 19 May. “At 8am tomorrow (Thursday 19 May 2016), officers attached to Marine Area Command with assistance from Port Stephens Water Police will conduct a recovery search,” said a New South Wales Police Force spokesman. “Due to conditions of the water, it is unlikely the 48-year-old man was able to survive,”continued the spokesman. Detectives are continuing with inquiries regarding the FireFly. Officers believe the yacht may have been around Lemon Tree Passage on the morning of 17 May.